It’s not often that I get the pleasure of reading books aloud to little ones. The local nephews are either way too big (18 years old!) or way too little (7 months old). There are no local nieces. But, I am an occasional babysitter for two delightful little girls in the neighborhood that love to read. We have continued to work our way through the Betsy-Tacy books by Maud Hart Lovelace, and we just wrapped up Betsy and Tacy Go Over the Big Hill. They totally understood Julia and Katie’s big fight and felt like finding out who would be Queen of Summer was quite the agonizing cliff-hanger. They were fascinated by Little Syria–the food, the language, the clothes. But as I read, I kept thinking about the current war in Syria. I was almost afraid that the dark headlines and stories of recent weeks had somehow fluttered downward into their heads and they would put two and two together. Even though they’re young, they’re smart girls. It was in the realm of possibility. If they asked about how Little Syria of 1900 Deep Valley was connected to Syria today, what would I say? For those that haven’t read BTGOBH, Little Syria is a part of Deep Valley that is just a little bit separate from the rest of the community. The girls first meet Naifi, an immigrant about their age, during one of their famous picnics on the Big Hill. They don’t share a language, but they do end up sharing laughter and snacks. Later, Naifi is teased by some boys, and they rush to her defense. And then they visit Little Syria. Because of the way they had helped Naifi, they instantly make friends. Naifi’s father invites the girls to their home. Mr. Meecham and I started to talk about his neighbors. He’s interested in them, and no wonder. They come from a very interesting country. You can read about their county in the Bible. The Deep Valley Syrians are Christians, but most Syrians are Mohammedans. Syria is under the control of the Turks, and the Turks are Mohammedans too. A good many of the Christian Syrians are coming to America these days. And they come for much of the same reason that our Pilgrim fathers came. They want to be free from oppression and religious persecution. We ought to honor them for it. In some ways, not much has changed. Though now it is two Muslim factions fighting, it is still a war about religion. Syrians are again fleeing their country. I often get tired of that over-used saying about how we must learn history or we are doomed to repeat it. We repeat past mistakes all the darn time, and we never learn. If anything, history gives a greater depth to the present. Reading this passage made my heart ache for this ancient country. Though I try to follow world news, I am certainly no expert on the ins and outs of the civil war in Syria. And I’ll admit that I had kinda ignored the Syrian crisis. But after re-reading BTGOBH again, I started paying more attention. Thinking of Naifi and her family gave a face to the thousands that are fighting to survive right now. This week, as I listened to stories on NPR about the recent declaration that this is, in fact, a civil war, I kept thinking about the immigrants of 100 years ago and the conflicts that brought them here. Where might a Little Syria pop up today? And would their neighbors be as excited and welcoming as Betsy, Tacy and Tib? My girls didn’t make the connection between the headlines and their bedtime story. And I’m still not exactly sure what I would have said if they asked. Because I certainly don’t understand. This year marked the 40th anniversary of my museum’s biggest event of the year, Candlelight. As part of the anniversary, we created a small exhibit and I researched the history of the event. One thing that surprised me was how quickly the key elements of the event came together: buildings decorated by community groups, performances by community groups, and candlelit paths. The core elements of the event are pretty much unchanged since 1972–which is pretty remarkable in this day and age. And there aren’t many museum events anywhere that last for decades–events have a shelf life. Audiences change, staff change, sometimes even missions change. While finishing up this project, I realized that probably the biggest factor that’s led to the longevity of this event is the timelessness of Christmas. People crave tradition this time of year. We had a smaller event (the reading list and post about last year’s event) this past weekend which featured Christmas chapters from books set during the museum’s time period. I read quite a few bits from the Little House books and Betsy-Tacy to guests. For some little ones, it was their first introduction to Laura and Mary. Many times during the day, I would read a passage, turn to the visitors and say “Does that sound familiar?” And they would nod eagerly, their eyes round with wonder. Though the concept of thinking a very good Christmas was a tin cup, a cake, a stick of candy and a penny is completely out of their realm of imagination, the worry about how Santa would find them is still a big concern for kids today. Historically speaking, it amazes me how set some of our traditions have been for the past century or so. Though variations of the legend of Saint Nicholas have been around for centuries, Clement C. Moore’s famous poem, “‘Twas the Night Before Christmas,” wasn’t published until 1823. And the visual we have of Santa in a red suit with belly and beard wasn’t firmed up until Thomas Nast drew a cartoon in 1863, smack dab in the middle of the Civil War. (side note: Nast was more famous at the time for his political cartoons, which I find fascinating. Early political cartoons and Santa, all in one artist!) During the 19th century, there were enormous changes in how we celebrated Christmas (for more on this, check out Stephen Nissenbaum’s The Battle for Christmas, which I wrote about last year). But what struck me on this read-through of some old favorites is how these changes weren’t really thought of as new, but the way it’s always been. Now, historical purists will remind me that the publication dates on these autobiographical novels don’t match the dates they were set, so it’s entirely possible that the attitudes about Christmas better reflect the 20th century than the 19th. But let’s just ignore that for right now and see what we can find that’s stayed virtually unchanged over the past century and more. I had thought about typing out some of these wonderful quote and passages for you, but decided that part of the fun is reading the whole chapter. So, my gift to you is an excuse to pull out an old favorite! The joy of finding the perfect gift for someone? Take a look at Anne of Green Gables (puffed sleeves!) or Roller Skates (Trinket’s first Christmas tree). The importance of stockings! Again, Little House and also the later Betsy-Tacy books. Food, glorious food? Well, descriptions are all over the place, but Farmer Boy immediately leaps to mind. The description of the feast almost takes up a whole page. The fun of shopping, even if you don’t buy? Why, go no further than Betsy and Tacy Go Downtown, which also includes one of my favorite bits about the importance of believing in Santa, even if you are grown up. I know I’m leaving out many Christmas classics. What are some of your favorites? These stories have so much in common, even if they were written decades ago. And I think they’re going to last just fine into the future. Even as time and technology hurries forward, some things, especially emotions don’t change much. And now I must run to do a wee bit of last minute shopping myself. Merry Christmas to you and yours. And happy reading! My poor, neglected blog. I knew it had been a long time, but I hadn’t realized it had been over two months. Sheesh! And it’s not like I’ve quite dropped off the face of the earth or stopped reading–just the usual very busy fall. So what brings me back, finally, to this little corner of the internet? An old favorite, of course. This summer, I met two very special little girls and became their occasional babysitter. They live in the neighborhood, are an absolute hoot, and plus, it’s a wee bit of extra money for the trip to Hawaii (yes, part of my absence was spent in Hawaii) and some major house projects. As soon as I met Grace (age 9) and Sophie (age 7), I knew that these kids were ripe for my influence–there were books all over their house, and Sophie has one heck of an imagination. I knew right away that these girls needed to meet Betsy and Tacy. And about a million other of my favorites too–right now, there’s a wee bit too much Disney Fairy stuff in their life. Now, I’ve been a book evangelist for the kids in my life for years. I give books as gifts, cross my fingers, and hope for the best. Rarely do I hear anything, though I’m always thrilled when I do. I’ve had some pretty good success with nephew Bobby (we had a very memorable text conversation after he finally read Hunger Games), but never, ever with any of my favorites. The closest was when I gave Katie a copy of Anne last year–she took it to dinner with her but was too distracted by the Bob Armstrong dip to actually start reading it. But hey–a kid that takes books to dinner–that’s my kind of kid. The first time I babysat Grace and Sophie, I brought Betsy-Tacy with me. I knew that they had reading time (specifically, read aloud time) before bed and very carefully introduced my book. Right away, they seemed intrigued, closely examining the pictures and asking questions. And each time I came back, they made sure I had brought the book and we read a few more chapters. I don’t know that I’ve ever gotten to share one of my favorites like this before. It is pure magic. They’re listening so hard and get so wrapped up in the story. My favorite moment with them was when we read the Easter Egg chapter, the chapter in which Baby Bee dies. I was a little nervous about this bit, mainly because I wasn’t sure how much their parents had talked to them about death and dying. When we got to the line “She didn’t come over the next day, nor the next, for Baby Bee died.” Sophie gasped. Like really gasped with the whole wide-eyed shocked expression on her face. We stopped for a minute to talk about how there weren’t as many good medicines back then, so sometimes people died. And then we got to the part where Betsy explains to Tacy: “But she gets all the news. . . Do you know how she gets it? Why, from the birds. They fly up there and tell her how you are and what you’re all doing down at your house.” At this point, ever practical and literal Grace says “That’s not how it is at all.” I almost burst out laughing, but managed to keep a straight face. The last time I watched the girls happened to be Sophie’s 7th birthday. I wanted to get her a little something, so picked up a clothespin doll from our museum store. Sophie was completely enraptured with the little brown-haired doll and said (at absolutely no prompting from me! ): “It’s Betsy!” That wasn’t at all my intention when I gave it to her, I swear! After all, this is a grown-up doll, not a little girl doll. But she played with Betsy all night and has requested a red-headed doll. And that night, they chose to read an extra chapter of Betsy, rather than have some time to read their own books. My work here is done. Though the next time I come over, I’m thinking about making sand jars, and that will probably really send them over the top. For Christmas, guess what these little girls are getting? Why, the new Betsy-Tacy Treasury, of course! Isn’t it awfully nice of Harper Collins to publish this right when I have such good little converts? They’re going to eat up all the extra information and photos and biographies with a spoon. Have you been able to successfully share some of your kidlit history favorites? Any great stories? Though it’s not quite the holiday season yet, I’ve spent much of this morning reading Christmas scenes from various children’s books. For Candlelight (the museum’s biggest event of the year), I decided to create a pre-visit lesson plan for teachers visiting in December. And what better way to talk about how holidays have changed in the last 150 years than kidlit history? As I was finishing up, I realized that some of you might be interested in the selections and discussion questions. What favorite scenes am I missing? Times are tough during the war. The four March daughters decide to spend their Christmas money not on themselves, but on gifts for their mother. After they share their breakfast, they put on a play—and end up having a wonderful party through the generosity of their neighbor. How did the Civil War affect their Christmas? What kinds of gifts do the sisters want for themselves? What kind of surprises happen on Christmas? How do their plans change? Was it a Christmas without any presents? Mary and Laura are worried that Santa Claus will be unable to reach them, since there is no snow and they live so far from other families. Ma and Pa are worried because they are unable to get Christmas presents. But Mr. Edwards saves the day! Why is the Ingalls family worried about Christmas? How is Santa Claus described? Is it different than the way we describe Santa Claus today? What were the presents that Mary and Laura received? Tom Fitzgerald, aka The Great Brain, has reformed and is no longer tricking his friends out of items. But in the aftermath of Christmas, he’s up to his old tricks. Have you ever tried to be a better kid to get what you wanted for Christmas? What reasoning does Tom give for his bet with Parley? What do you think the real reason? What do you think of the reaction of the town to the tracks of the “monster”? Do you think Tom and John’s punishment was appropriate? Every year, Betsy and Tacy go shopping and this year, they bring a new friend along. Christmas celebrations last longer this year, with the addition of Mrs. Poppy’s party. “Then why do you go shopping?” Winona asked. “We go shopping to shop,” said Tacy. What kind of stores do the girls visit? Why do the girls choose to buy an ornament every year? How does the Ray family celebrate Christmas? How do they continue celebrating at Mrs. Poppy’s? Lucinda decides to plan a special holiday surprise for her friend, Trinket. She takes odd jobs around the neighborhood to earn money for presents. And all her friends join them for a party—and Trinket’s very first Christmas tree. “It’s the nicest tree I ever had, and it will be Trinket’s onliest up to now. I do hope you’re as excited about it as I am, Miss Nettie.” Lucinda spread sugary fingers about Miss Nettie’s neck and said something that surprised them both: “I do love you, Miss Nettie.” p. 112. How do Lucinda’s neighbors help her in throwing the Christmas party? How is the Christmas tree decorated? What kind of traditions does Lucinda have to celebrate? How are some of those shaped by where she lives? Why do you think this was such a memorable Christmas for everyone? Of the traditions mentioned in these stories, what traditions do you also use to celebrate? How are some of these Christmases from the past different from your Christmas? If you read more than one selection, what do these celebrations have in common? How are they different? What are some reasons for these differences? If you could pick one Christmas to celebrate with some of the characters mentioned above, which would it be? Today is the first day of school for most of my Texas neighbors. We also had a record high temperature of 107, but that’s beside the point. Depressing, but not the point. School is a really big part of so much of kidlit history. Because, you know, these are books about kids and they spend most of their time in school. Usually. In no particular order, some of my favorite school incidents in kidlit history. Anne thwacks Gilbert with a slate. Well, he totally deserved it, what with calling her carrots and all. Little did he know that she was not a girl to be trifled with. Still love this line after all these years: “Anne had brought her slate down on Gilbert’s head and cracked it–slate, not head–clear across.” And from there begins one of the greatest “I can’t stand you!” to “I will beat you at everything.” to “I guess we can be friends” to “I love you!” relationships ever. What would their story have been like if Gilbert had never called her carrots? Would there have even been a story? Side note: though I have nothing to back this up, I’m willing to bet that this one scene is the most commonly illustrated scene from Anne. Such drama! Side note #2: I have never been able to decide if this really hurt Gilbert’s head or if it was just super dramatic. Perhaps it was more of a stunning situation. Side note #3: Guessing all the boys were less likely to tease Anne after this one. Tacy runs away from school. Everyone knows that Tacy is shy, and most people know how to handle that. Except her teacher, Miss Dalton, who puts her right up front, away from the other kids (and more importantly away from Betsy), and next to her. Who is, of course, a stranger. So who can blame Tacy for running away during recess? Tears and wailing on the part of both Tacy and Betsy ensues. Thank goodness for Mrs. Chubbock who has chocolate men. “They couldn’t very well eat and cry together.” Words to live by, my friends! Laura teaches school at the Brewster Settlement. Laura is not yet 16 and is off to teach school. Some of her pupils are older and taller and much meaner than she is. The family she boards with is more than a little dysfunctional. The scene with the knife still makes me shiver. But as a historian, I’m grateful for this incident to show that not everyone did well in the wilderness. The bright spot in what could be quite a lot of gloom—Almanzo–driving through the snow so she can go home each weekend. Sigh. Funny how two of my favorite school stories are also romantic. . .
What are some of your favorite school stories from children’s literature? Over the last couple of weeks, I’ve been thinking a lot about the unique magic of literary places. Not that this is something I never think of (see previous posts here and here), but it’s really come to the forefront based on a few very different things. First, a unique opportunity has arisen for the Betsy-Tacy Society. Tib’s House is for sale! But it’s a scary time for any non-profit to think about expanding. There has been much conversation amongst the BT-list serv about which place in the Betsy-Tacy canon are most important. If we have Betsy’s house, do we really need Tacy’s house? And if we had to pick between Tacy and Tib, which one would we choose? Because I am of the “proceed with extreme caution” school of thought (especially when it comes to historic sites), my gut says we should really hope that a loving family buys Tib’s house, takes care of it, and occasionally lets us crazy Betsy-Tacy fans inside to take a look. But all of this flurry got me thinking again about Mark Twain’s home in Hartford. Back in 2003, they expanded dramatically–opening a beautiful visitor’s center, featuring programming space, exhibit space and a spacious store. The project went over-budget, and the attendance projections did not come true. They were drowning in debt. A few years ago, there was a lot in the news (well, museum news. . .) about how close they were to bankruptcy. Somehow, they’ve survived, though in a quick search, I’m not seeing any updates about their current financial state. And finally, I just finished reading Diamond in the Window by Jane Langton, an odd little book set in Concord–home to Alcott, Emerson and Thoreau. I have long been fascinated with this town–ever since my survey of American Lit class in college in which I realized there had to have been something in the water. So the book intrigued me–and Langton certainly used the location to her advantage. Lots of references to transcendentalists and all the famous authors. They visit Walden Pond (and it’s set before the reconstruction of Thoreau’s cabin was added), and the little girl manages to find Joanna, Jo’s poor doll that Beth saves (seriously?). It’s a story that couldn’t really have worked anywhere else. I’ve visited Concord twice now–I had to see Orchard House both times, but have also made it to Walden Pond, Emerson’s House and Hawthornes/Margaret Sidney’s House. Wayside (Hawthorne’s home) is a National Park Service site, and Walden Pond is a state park. Orchard House is a private, non-profit that I know has suffered in recent years–though they were also a beneficiary of a large Save America’s Treasures grant (a program that is currently under huge threat in the current budget ) I know less about Emerson’s house, but based on my visit, they need some help. Some very different sites, with very different institutional models, and yet they’re all in the same community–a community that banks on heritage tourism. So where does all of this get us to? I’m not really sure, except this: what would we, the readers, be missing if these places didn’t exist? If Mark Twain’s home closed tomorrow and became a private residence (this historic preservationist will not consider that it would be torn down! ), what is lost? 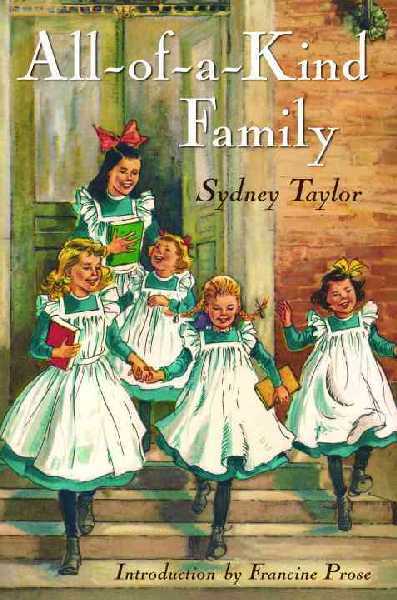 If the Betsy-Tacy Society folded, would future readers of the series miss out on something? How does the place add to our reading experience? And how does it add to our historic experience? I have a feeling that most of my blog readers agree with me on this. A lot would be lost–for us dedicated readers, but something would also be lost in our historic fabric. With the current economic crisis, there are many, many historic sites that are on the brink (if they haven’t already gone over the edge). And our historic fabric is being torn. These literary sites are special–they are places that live in our imaginations, but that we can also physically visit. I can never visit Hogwarts (thought I know the folks in Orlando think differently about this), but I can see so many sites from my favorite books. Soon, I’ll be planning my next literary pilgrimage–to Mansfield, Missouri and the home in which Laura Ingalls Wilder wrote her famous books. I sincerely hope these places will survive their current challenges and serve generations to come. I hope that the historic sites and organizations that are on the brink are able to reform themselves into something sustainable. But still, I worry. At my museum, we get a lot of school tours. Sometimes, we even get survey responses or comments or samples of the lesson plans teachers use to prep for the field trip. Generally speaking, this makes me very, very happy. And generally speaking, I’m amazed to see how creative teachers are in connecting their textbooks (usually somewhat boring and dry) with our village (hopefully, less boring. Definitely louder). Except for one thing. Over and over again, teachers say “This museum is exactly like Little House on the Prairie.” Or “This perfectly complements our unit on Little House on the Prairie.” Now, don’t get me wrong–I love Little House. Heck, these were the books my tiny young history loving brain was weaned on. However, we have over 30 buildings at my museum. Only a few of them can be connected to that pioneer time period. So, does this mean that the kids aren’t connecting at all to the majority of our buildings? Can they only think about history in the frontier/pioneer context? Of course, I understand that many of the readers of this blog (whoever they may be) do not live in North Texas, will probably never visit my museum, and are wondering why I’m jumping on this particular soap box today. But my frustration really speaks to a much larger issue in kidlit history–there seem to be a plethora of pioneer/frontier books out there, whether you’re looking at non-fiction, historical fiction or kidlit history (for visitors of the blog, here as part of the “Share a Story, Shape a Future” blog tour, check out my definition of kidlit history here). This is not a bad thing–after all, it’s an important part of our American story, of how we became the great and crazy nation that we are today. But some kids perhaps wonder: what happens after the frontier is settled? How does a frontier town (like Dallas was) become a city? What happens next? Recommendation #1: The Betsy-Tacy series by Maud Hart Lovelace. I admit it, I talk about these books a lot on this blog. Heck, these books are part of the reason I began writing this blog. But I will continue to beat this drum until Laura Ingalls Wilder and Maud Hart Lovelace are in the same sentence on a regular basis. These books also chronicle a girl growing up, from the time Betsy turns five and finds a best friend to graduating in 1910 to marrying in 1914 to sending her husband off to World War I. Betsy is such a real character–I didn’t discover her until I was in my 20s, but when I did I had flashbacks to when I was 10 and 14 and. . . Well, you get the idea. But from a history perspective, there are still all the great period details–playing with paper dolls, going to the Carnegie Library for the first time, the first car in Deep Valley, political talk (Teddy Roosevelt! ), women’s suffrage, World War I. The high school and beyond books, recently reissued, even include some great background material including tons of photos. And the younger books have all sorts of ideas for fun classroom projects, as well as that taste of what life was like over 100 years ago. Plus, these books are just plain fun. Betsy is just a generation younger than Laura, but her life is so different. Her family is settled, physically and financially more comfortable, and Betsy really doesn’t do a lot of chores. Yet, Betsy lives in one of the same states that Laura spent part of her childhood–Minnesota. What a great way to compare and contrast what a difference a few things (like the railroad) can make to a person’s every day life. I have a sneaking suspicion that these are even less well known than the Betsy-Tacy books. Which is even more of a crying shame since they feature boys–a gender that is definitely lacking thus far on my kidlit history timeline. Set in late 1890s Utah, these books are funny. J.D.’s older brother, The Great Brain, is constantly swindling every kid in town. And yet, they still fall for all his tricks. Again, there are still period details–an indoor bathroom! the spiffy toys! the wonders of the Z.C.M.I. store! Every now and then, The Great Brain’s antics will make you twitch, but you gotta love his parents. They seem to do a lot of sighing. These boys are just a few years older than Betsy, so there’s a lot of fun similarities. Though I can’t quite imagine Betsy pulling off a monster hoax. . . There are scenes from this book that you’ll never forget: dusting for buttons! eating crackers in bed! the books in the storeroom! I don’t know how many times I read this book as a kid, but whenever I reread it, I feel like I’m cuddling up in a cozy blanket. Plus, in addition to all the great period details of life in New York just after the turn of the century, you’ll also learn about Judaism. The only book that makes me hungrier than All-of-a-Kind Family is Farmer Boy. There are still a tons of things to talk about history wise, but it’s such a different life than what Laura had. Much of this is due to the sheer size of New York–which could lead to a great conversation about urban versus rural. Opportunities and/or technology had a lot to do with where you lived, not when you lived. For instance, electricity and running water were not uncommon at the turn of the century, but if you lived in a rural area, you might not get electricity until the 1930s. Or, to use the Great Brain books as an example, public school only went through the sixth grade in his town–high school meant boarding school. And yet, they’re practically the same age as Betsy, who went to a high school just down the street. 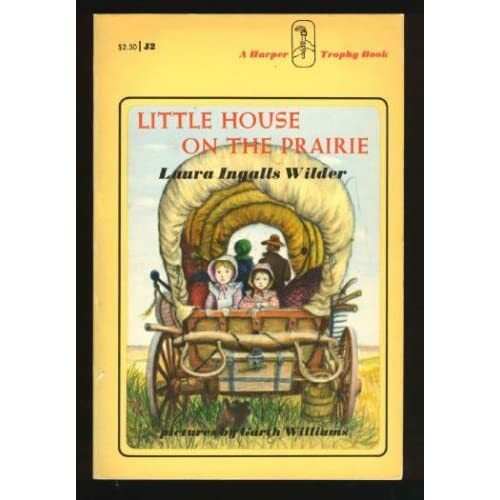 Though these books take place years after the Little House books, time-line wise, the difference is just the blink of an eye. A generation, really. And think how different these growing up stories are. These are all stories of our American past. There’s so much beyond the frontier. Honestly, I’ve always been more interested in the stories of that middle, building period. It takes a lot of courage to head out into uncharted territory, but it takes a lot of courage to stay and build too. These are just a few of my favorites–I know there are many more to explore, and I’m looking forward to continuing the journey. This post is part of a larger blog tour: Share a Story, Shape a Future, specifically Day 3: Just the Facts: The Non-fiction Book Hook. To continue your tour, click here.